BitTorrent wants to make one-off file sharing across local networks as well as the internet easier with a new tool that aims to take on Apple’s AirDrop. The company is currently working on a simple sharing tool that is supposed to help users quickly share files between mobile devices, said BitTorrent’s VP of product management Erik Pounds during an interview Monday. “It’s great if you are only two people and both have iPhones,” Pounds said about AirDrop. However, it’s impossible to use AirDrop to share data with Android and Windows Phone devices, and sharing between multiple devices slows down the protocol. BitTorrent’s tool on the other hand will be cross-platform, Pounds explained, and actually speed up with more people participating, thanks to its P2P architecture. [company]BitTorrent[/company] plans to begin testing the new tool soon, and then release to a wider audience in the first half of 2015 It is based on the company’s Sync file synchronization tool, which the company plans to take out of beta when it introduces a new version 2.0 early next year. Pounds told me that BitTorrent will introduce a freemium model for Sync 2.0: The basic file synchronization functionality, which is completely serverless and uses strong end-to-end encryption for unlimited file transfers, will remain free to use. 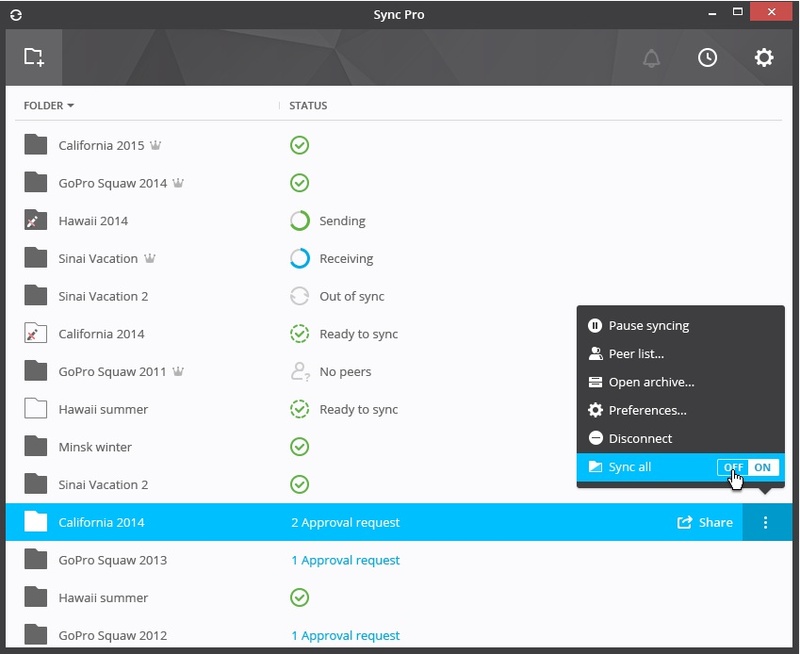 Sync Pro, which is slated to cost $40 a year, will add more fine-grained permission control as well as on-demand synchronization of individual files within folders. Selective file synchronization in Sync Pro 2.0. Pounds said that BitTorrent also plans to spin out file replication for enterprises into a separate tool. Right now, companies like Angie’s List are already using custom-built tools based on the Sync API to distribute data to hundreds of servers and reduce their web deployment time from hours to seconds. Now, BitTorrent is looking to build a new enterprise app that offers the same functionality without the need to build any custom tools. With Sync Pro as well as new apps for both consumers and enterprises based on Sync, BitTorrent is looking to turn P2P-based file synchronization into a real business. That bodes well with the anti-cloud and pro-privacy rhetoric that the company has been using in recent months. But how realistic is it to get consumers and businesses alike completely off cloud-based services? Pounds admitted that most people already live in a hybrid world, and that this likely won’t change in the future. “We do feel like it’s not an either or,” he said, suggesting that BitTorrent may eventually find ways for consumers to combine both cloud-based services as well as its own serverless apps.